Being taught how to cook by one of Australia’s most celebrated chefs would be a dream for most aspiring chefs around the country, and for a lucky 40, this dream will soon be their reality. 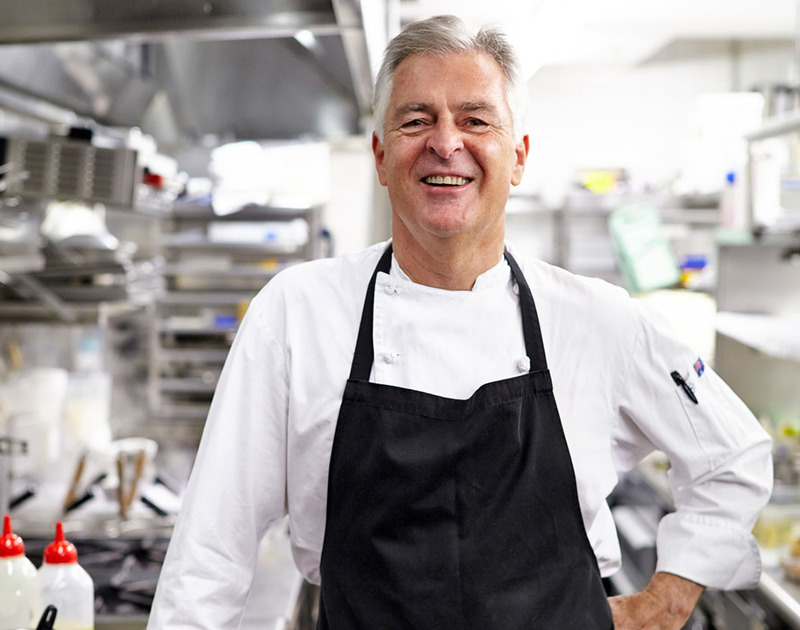 Come February, culinary legend Peter Doyle will be leading Merivale’s all new chef apprenticeship program, a first of its kind in Australia. Firstly, an obvious difference is the intimacy and mentorship throughout the program. “A legendary culinary icon will work with you one-on-one to develop your skills,” says Nick Norris, Merivale’s Apprenticeships & Traineeships Coordinator, who has been working closely with Peter to create the program. With just two intakes of 20 students in 2019 and only ten in the classroom at one time with Peter, this kind of culinary training is the stuff of dreams. “It will be an exciting approach to learning,” Peter adds. Often referred to as a ‘home grown legend’, with his trademark being contemporary Australian food, executed with French-influenced precision, just how tailored will the program be to Peter’s own cooking style? Well, he has written all of the practical content of the course. “It will offer precision-based technique applied with attention to detail,” Peter explains. “We will be using the best available produce to encourage passion in the students”.